Feels good to call it home for a few days. All photos courtesy of Henry Howard Hotel. 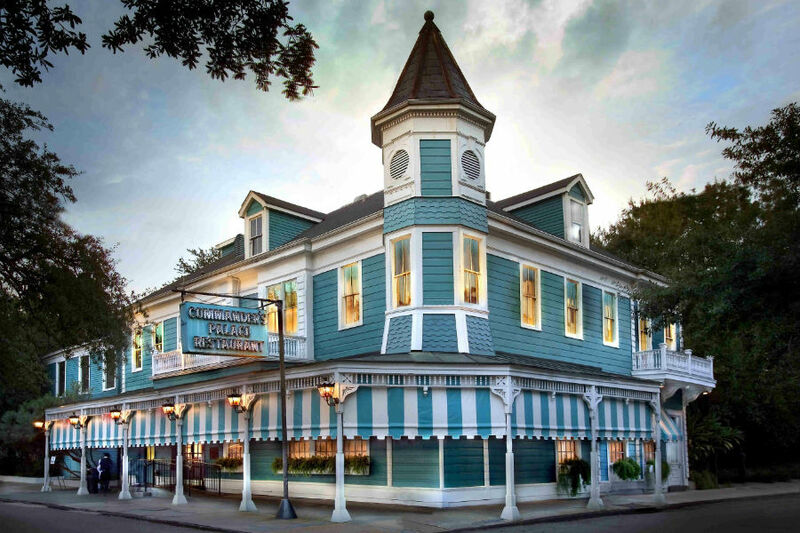 Fathom editorial director Jeralyn Gerba parades on down to NOLA and checks into a Lower Garden District Gem. Do you know what it means to miss New Orleans? I've been humming that line ever since I got back from a blissful week at the Henry Howard Hotel. 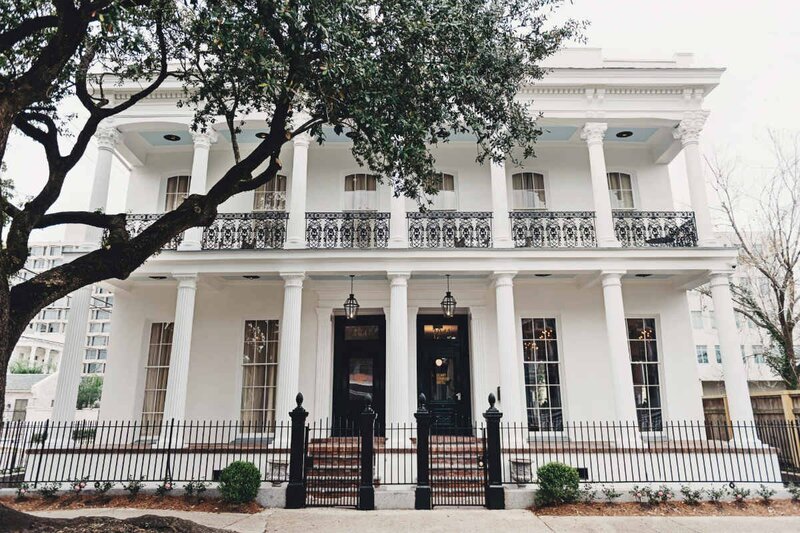 Named for the journeyman carpenter and influential architect who left his mark on much of the city, Howard's 1860s Greek Revival building in the residential Lower Garden District offers just the right mix of high-design aesthetics and low-key charm in a boutique hotel package. 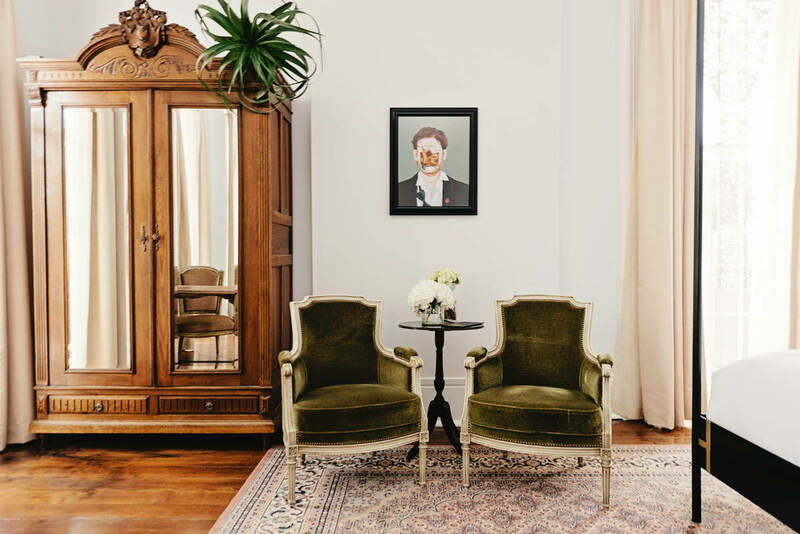 Inside the striking HHH townhouse are three floors of rooms with custom wallpapers, twelve-foot windows, sparkling chandeliers, upholstered furniture, and inviting parlor for socializing with a Sazerac. The building is neighbors with shotgun houses, po' boy delis, an above ground cemetery, and a steel structure that used to be part of the Eiffel Tower (it's a restaurant and lounge). All are in various states of bohemian decay — overgrown and highly spirited — and a quick walk in any direction reveals antebellum columns, cast-iron balconies, hidden courtyards, and last year's Mardi Gras beads caught on the branches of magnolia trees. This is a place where live oaks split the sidewalks and fans whir softly on the porches of grand dame mansions. It's romantic and old-world and offers first-time tourists and obsessive repeat visitors alike another, more local version of NOLA. Rates from $169. Make a reservation. 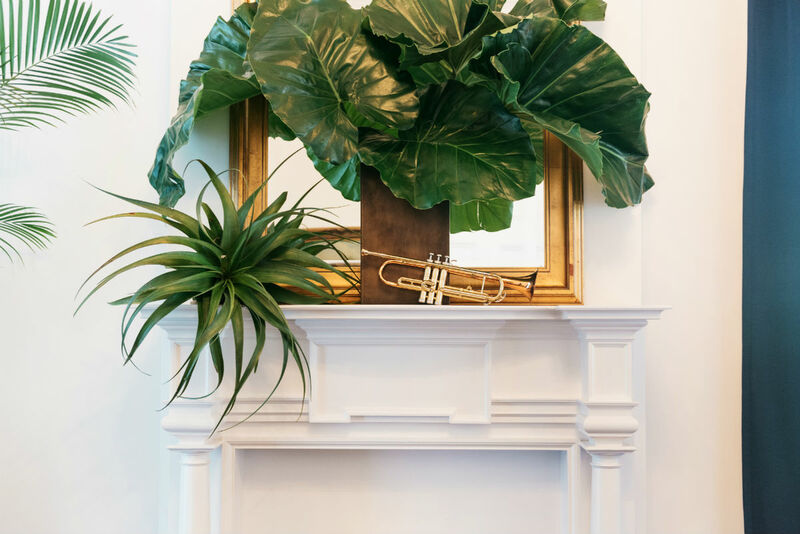 Room details include reupholstered antiques, brass instruments, custom wallpaper, and more. 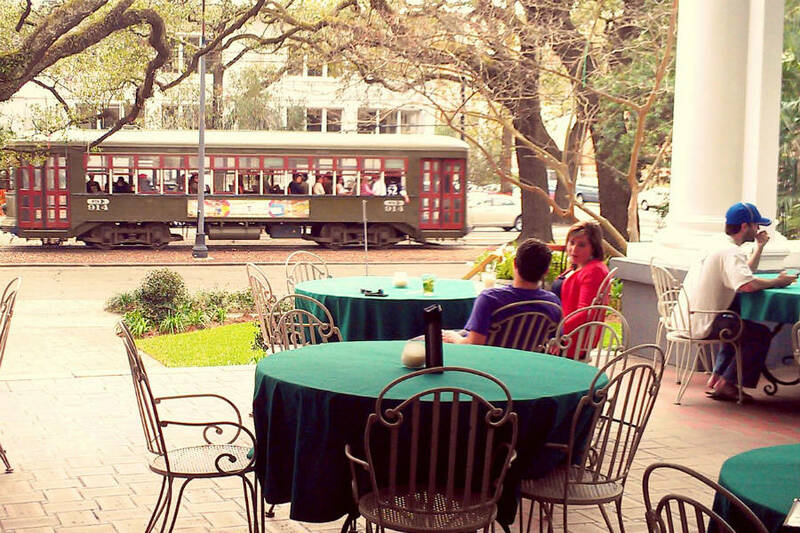 Nola's Lower Garden District is a residential neighborhood flanked by the shopping street Magazine and iconic St. Charles Avenue, which has its own vintage streetcar line. It's a terrific area for strolling, with notable architecture, new shops, and old-school joints. It's a 30-minute walk or ten-minute cab ride to the heart of the French Quarter. Furniture is a mix of vintage and contemporary styles, sourced from local designers and antique shops. On the walls: custom toile wallpaper and shiny second-line instruments. Beautiful wood floors are covered with Persian rugs. Ceilings are soaring, porch chairs are rocking, and cocktails are flowing. 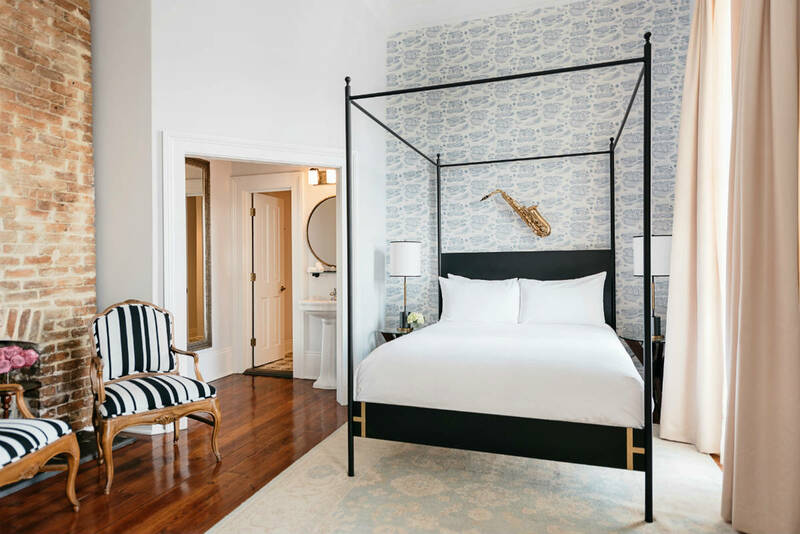 The location is a plus for those looking to blend in with the locals, explore beyond the French Quarter, or have prime access to Mardi Gras party routes. The suite is great for a family. During parade season, you can practically hear the rat-a-tat of a snare drum summoning the marching band on nearby St. Charles Avenue. The parlor feels like a well-appointed living room — with a bar. Guests and staff chat, drink, and snack day and night, but the vibe is mellow and homey. No one seemed to mind my toddler adorning herself with reams of beads while occupying the best seat in the house — a green velvet sofa in front of the large windows. There are 18 rooms with modern canopy beds and an incredibly spacious three-bedroom suite on the top floor. There's strong WiFi, TV, a powerful shower, and a mini bar that includes a feathered voodoo doll, Tabasco brand chocolates, and wildly addictive local Zapps potato chips. The top floor suite has a bass drum and mallet for impromptu rhythm sessions (just not at night, please). Evening turn-down service includes fresh-baked cookies on a plate. Seeing as everyone's in town to dine and drink (and take home leftovers), the lack of an in-room mini fridge feels like an oversight. The reception is warm at all hours of day and night. The staff go out of their way to make sure guests are comfortable. They say it's Southern hospitality, but the down-home friendliness felt more genuine than that. What a sight. Photo courtesy of Casamento's. Mojitos on the patio. Photo courtesy of Columns. Back in the 19th century, when the area was the French colony of Louisiane, the nouveau riche (gauche!) Americans found themselves unwelcome in Creole New Orleans, a strange city of French-Spanish-Caribbean hybridism. So they settled on the other side of Canal Street, building manor houses with lush gardens — hence, the Garden District. What's not to do? Old-school imbibing at The Columns. Oyster slurping at Casamento's. Po-boy slamming at Mahoney's. Lunching at Commander's Palace. Tippling at Lilette. King Cake-tasting at Sucre. Ghost-hunting at Lafayette Cemetery No. 1. And catching the St. Charles Avenue Streetcar. Louis Armstrong New Orleans Airport is a quick 20-minute drive from HHH. Pockets of New Orleans are very walkable. Uber quickly, easily, and affordably fills in the gaps. The St. Charles streetcar is one block from the hotel and is cinch to access for a ride to the French Quarter.